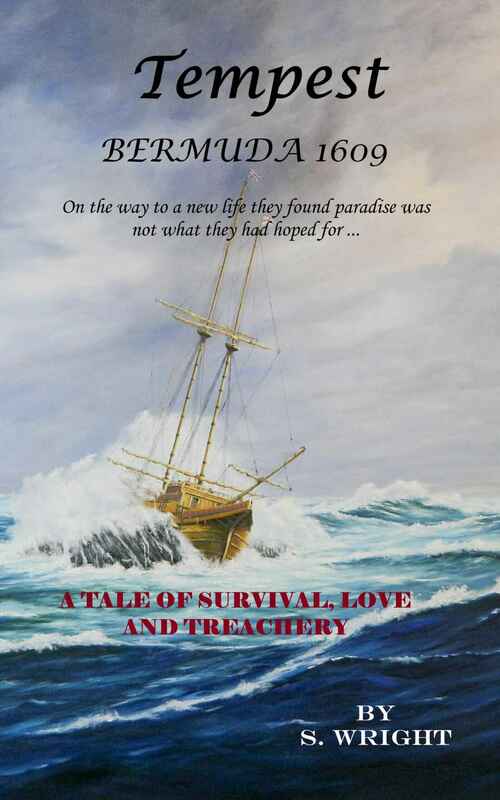 A new book — Tempest: Bermuda 1609 – takes a look back at the wrecking of the Sea Venture over 400 years ago. Written by S. Wright, the book’s description said, “Truth is stranger than fiction, and this book tells the true story of a group of people setting out for a new life in Virginia 1609. What followed defies the imagination. The facts are brought to life with stark clarity, taking you on a journey that will have you gripping the sides of your chair. “How did they survive in the middle of the ocean in a flimsy wooden ship in hurricane force winds? How could order be maintained in the face of mutiny, murder and betrayal? In the book’s forward, Ms Wright says, “Since my history lessons at Bermuda High School, historical stories have always fascinated me. “However, none of my lessons taught me anything about the history of Bermuda. Thirty years later, when I finally decided to seek out details of how Bermuda was founded, I was blown away by one of the most fascinating and exciting stories I have ever read. “Reading “A tale of Two Colonies” [V. Bernhard], and The Shipwreck that Saved Jamestown [L. Glover and D. B. Smith] whose factual accounts were riveting, I started to imagine what it most have been like in 1609, journeying across the Atlantic in a ship powered only by sails, encountering a hurricane of monumental ferocity. “As a psychologist, I find the concept of people of differing backgrounds fighting for survival as equals and then marooned on a paradise island, also made for a study in human nature. How people survive, the hierarchy of people’s needs and how power struggles turn potential harmony into murder and mutiny seemed a blueprint for many of the human behaviours that we see to this day, illustrating the unchanging nature of humanity.